Most people in Australia now occupy their homes for longer periods than before. In fact, average homeowners will live in their current residences for about 15 years. Greater Melbourne and especially the suburbs record even longer duration. Such are long times to jiggle broken toilet handles or bare looking at unsightly and chipped tiles. Renovations are therefore a lot more important now. That notwithstanding, ideas for Bathroom renovations Melbourne Eastern Suburbs residents prefer serve many other purposes aside from fixing broken fixtures. Though you spend comparatively less time in your bathroom as compared to other parts of the house, it is still important to have great décor here. One that you feel is nice to look at. Even the brightest pink hue becomes boring over time and so does outdated black colour scheme and all these situations call for a decent remodelling job. Bathrooms built in the 70’s or 80’s probably have plastic liners that were the norm then. Such are prone to leaks and so may need renovation as well. Some homes especially older houses have very small bathrooms. Most of these require that you squeeze in and close the door behind you before you can use the room. In most instances, bathrooms that are this small rarely have enough storage space. Fortunately, small custom building companies that concentrate on domestic homes such as Avenue Building Group can advise on the steps and necessary renovations that can help create enough space in such bathrooms and at a reasonable budget. This probably is the greatest benefit of undertaking a remodeling project. And, while homeowners want to recoup every dollar spent on a renovation project, Master Builders Australia estimates that Australian homeowners who renovate their bathrooms stand to get about 70% of their renovation expenses when they eventually resell their homes. This means every bathroom renovation Melbourne homeowners undertake, comes with the benefit of having new fixtures and, gives assurance of a better resale value. Because potential buyers prefer houses with renovated bathrooms, such homes have a higher uptake rate off the market than older homes with outdated bathrooms. Most bathrooms constructed in the 70s or 80s lack essential comfort and energy saving features. However, the kind of small bathroom renovations Melbourne custom builder companies like Avenue Building Group incorporate ways to improve energy efficiency and comfort. Such renovation methods also install essential features like water saving fixtures, toilets with low flow and comfortable heights, radiant flooring and new windows that eliminate drafts during the cold months, helping you cut the cost heating. Homeowners with large houses that have busy bathrooms may find two sinks more appropriate than just one. Similar, if you had shower stalls before, you may now want to include a bathtub so you can make it convenient when giving children a bath. Conversely, you may want to eliminate the bathtub when you do not find it useful and instead, install a contemporary shower enclosure especially the kind with multiple heads. Whatever situation you prefer, Avenue Building Group has sufficient expertise to advise and carry out the necessary renovations. Sometimes, the reason to renovate your bathroom may stem from the need to create wholesome change. You may be displeased with the current look or having redesigned the other rooms or sections of the house, now want to create uniformity by bringing your bathroom to the ensuing colour scheme. Sometimes, some homeowners get the urge to change the existing themes or maybe incorporate something exotic. Melbourne suburb residents for instance, find rustic or beachfront themes more appropriate. Getting a uniform scheme implies undertaking bathroom renovations as well. Most homeowners admit that nothing beats the comfort of relaxing in a custom-built bathtub or shower. Including soothing lighting especially with warm colours to such makeovers can help get you ready for the day or unwind after a hectic day at work or a busy day minding your children. Universal bathroom designs are not only beautiful but are also comparatively safer. These designs incorporate elements that are essential for homeowners looking to age in place. They may also ease the burden on homeowner recuperating from an injury or accident. Moreover, the increasing number of homeowners aging in place means that handicap accessibility is more important now than before. 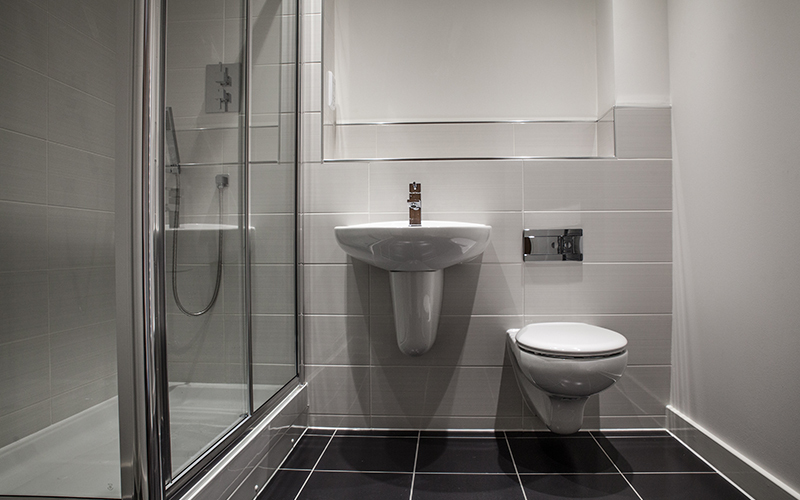 Contemporary bathroom designs must now incorporate accessibility for walkers, wheelchairs as well other mobility devices. Luckily, the team at Avenue Building Group can help you install all the admirable features such as showers without stone or concrete edging, slip resistant flooring, and wider doorways that improve handicap accessibility. Leaking pipes often lead to unsightly rotting floors and even mould. Leaks if left unchecked, can lead to very costly renovations. Mould on the other hand, often causes respiratory complications. Luckily, Avenue Building group has personnel with appropriate expertise to deal with such issues, renovating your bathroom in the process and ensure leaks and associated problems do not reappear in future. As a specialist in domestic homes, Avenue Building Group incorporates modern, high class, innovative and sustainable bathroom designs Melbourne residents are getting to like. Moreover, their team has every necessary expertise to conduct admirable bathroom renovations even in the 19th century building houses characterize Melbourne city. Avenue Building Group is an integrated construction company with access to only the highest quality resources. It thus, is aptly placed to offer its clients, unrivaled solutions to any of their many construction needs. Though the company’s specialty is in domestic homes, Avenue Building Group does exceptionally well in industrial and commercial building projects too. Avenue Building Group has a string of many happy and satisfied customers who paid for and got exactly what they wanted. The beauty of custom designs that this company develops includes a good deal of your suggestions as the customer, a process that helps eliminate unnecessary space and cuts the cost of renovation. You also get to choose your preferred colour scheme, the type bathroom cabinets, flooring material and walls. Most importantly, Avenue Building Group has overseen the conceptualization and construction of the most breathtakingly beautiful domestic homes in many Melbourne suburbs. They also offer credible general contracting as well as construction services, bathroom renovations inclusive. For more information, call 0411708256 or email info@avenuebuildinggroup.com.au today!